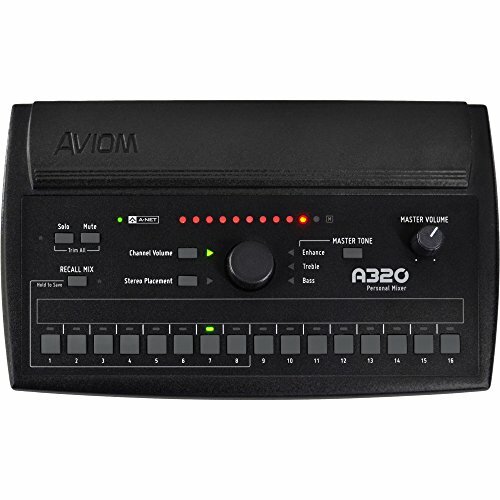 Aviom A320 Personal MixerThe A320 Personal Mixer gives performing and recording musicians simple, intuitive control over their monitor mixes. With many of the features of the award-winning A360 Personal Mixer, the A320 gives musicians the ability to get clear, musical monitor mixes every time they play. Ideal for use with in-ear monitors and headphones, the A320 gives musicians powerful control over their mix, while also preserving the simplicity required for use while performing. If you have any questions about this product by Aviom, contact us by completing and submitting the form below. If you are looking for a specif part number, please include it with your message.